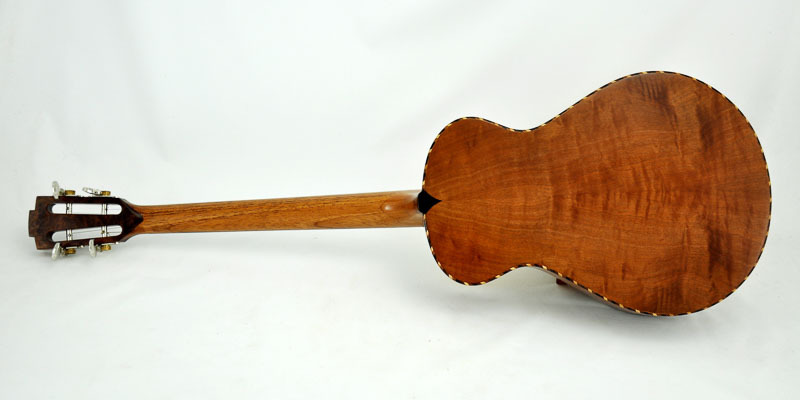 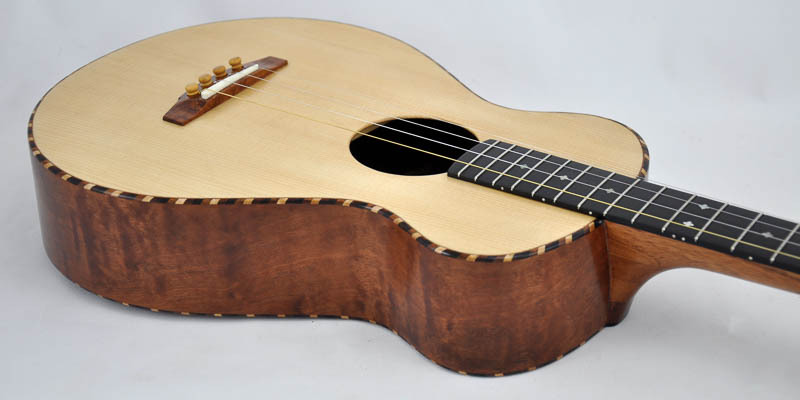 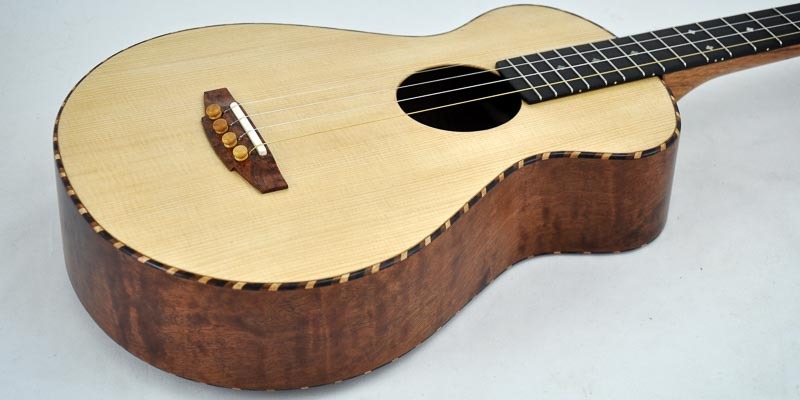 Makore with a Red Spruce soundboard. 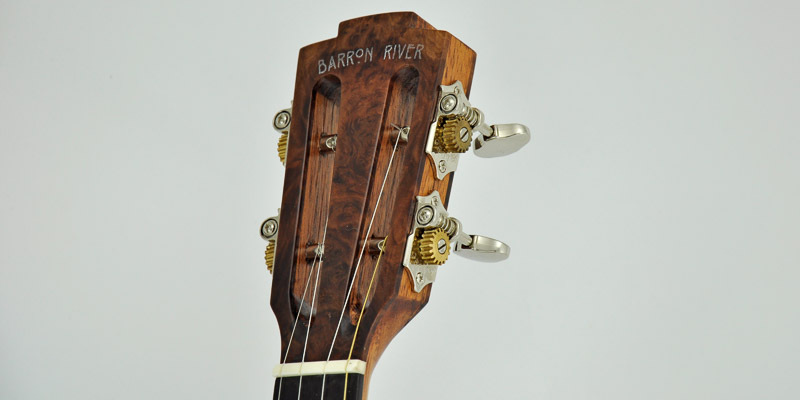 Rope binding and slot head give this instrument a classic vibe. 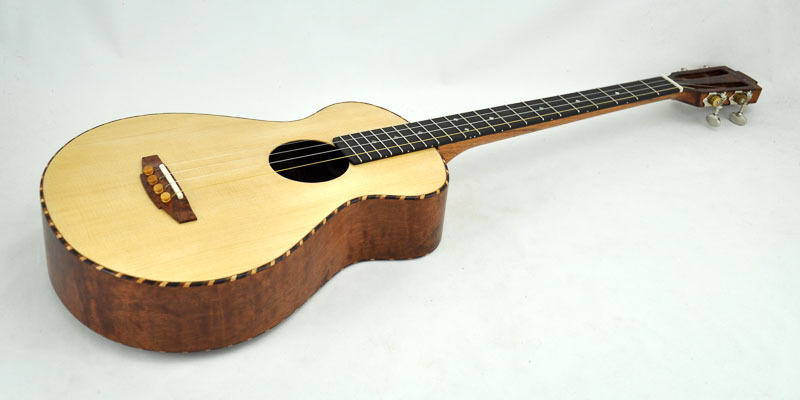 This is a left hand instrument and is tuned to GCEA like a ukulele.